Here at Glenrose Custom Cabinets we are committed to providing exceptional high quality USA made home furnishings made with great skills and the highest quality of materials which you will notice when you visit our showroom. Our business that started as a custom cabinet shop is now much more than that; not only providing our customers with complete kitchen packages, but also Indoor Home Furniture and also Poly outdoor furniture that is very low maintenance. Other additional items you can get here are; Primo Ceramic grills and accessories and Inspirational Art, Décor by P. Graham Dunn. 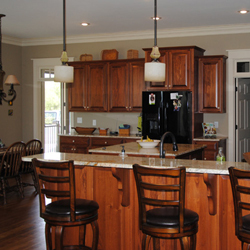 Custom Built Cabinetry built to fit your; Kitchen, Kitchenette, Vanity, or Laundry room. You can select the style from Traditional to contemporary then select from at least 8 different wood types with multiple finish options. Also we have complete kitchen packages; countertops, appliances, sink and faucets and LED under-cabinet lighting. Poly Outdoor Furniture! 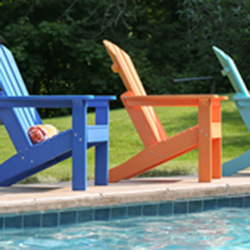 Poly lumber makes strong, comfortable outdoor furniture without the hassles typically associated with upkeep. It is easy to care for, needs no painting and can withstand harsh weather. Poly is an environmentally friendly choice, because it is made from nearly 100% recycled milk jugs. Indoor Home Furniture! Our Furniture all American made, comes with a lifetime guarantee. Many style of Furniture all crafted to one standard of excellence. It’s through many hours of burnishing the wood, that Simply Amish pieces achieve their trademark luster and silky texture. That’s why we sand and stain every bit of wood by hand. Our furniture will work and look good in generations from now. We guarantee it! 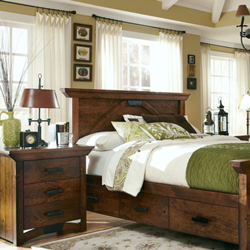 At Simply Amish, quality is first and foremost. It has to be or we couldn’t afford to offer a lifetime guarantee. We hope you will enjoy browsing through our new website and we would enjoy having you visit our showroom. We are blessed to be able to provide quality cabinets, outdoor furniture, and indoor furniture to our customers from the Nashville, TN to Huntsville, AL areas. If you have any questions along the way please contact us by phone or email, or better yet stop by and visit with us.